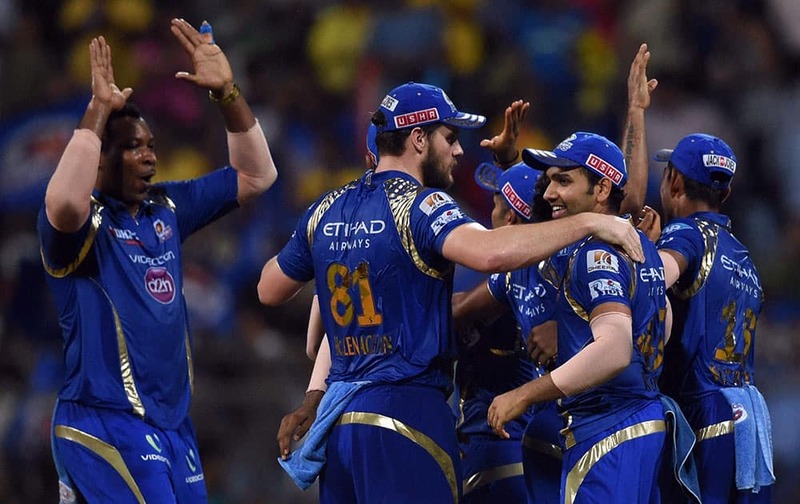 Mumbai Indians players celebrates the victory over Chennai Super Kings during the first qualifier match of IPL in Mumbai. Mumbai Indians player Lasith Malinga celebrates the victory over Chennai Super Kings during the first qualifier match of IPL in Mumbai. 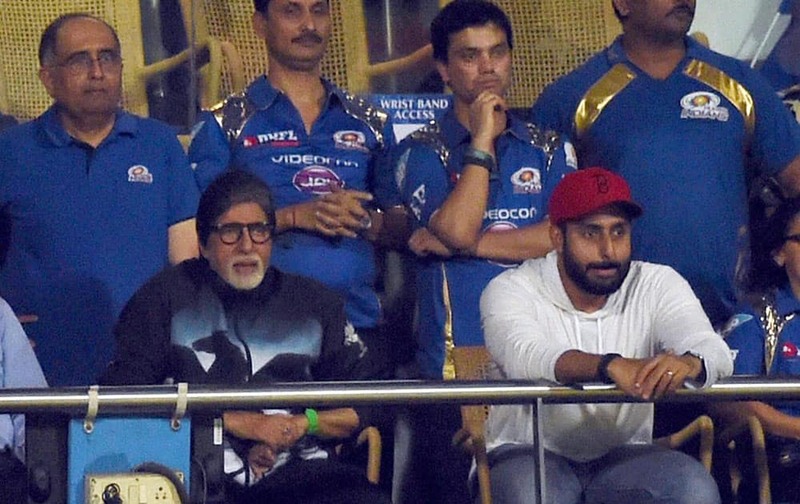 Bollywood Star Amitabh Bachchan alongwith son Abhishek Bachchan during the IPL 8 first qualifier match between Mumbai Indians and Chennai Super Kings in Mumbai. Chennai Super Kings player Ravindra Jadeja plays a shot during the first qualifier match of IPL against Mumbai Indians in Mumbai. Mumbai Indians player J Suchith celebrate the wicket of CSKs DU Plessis during the first qualifier match of IPL in Mumbai. 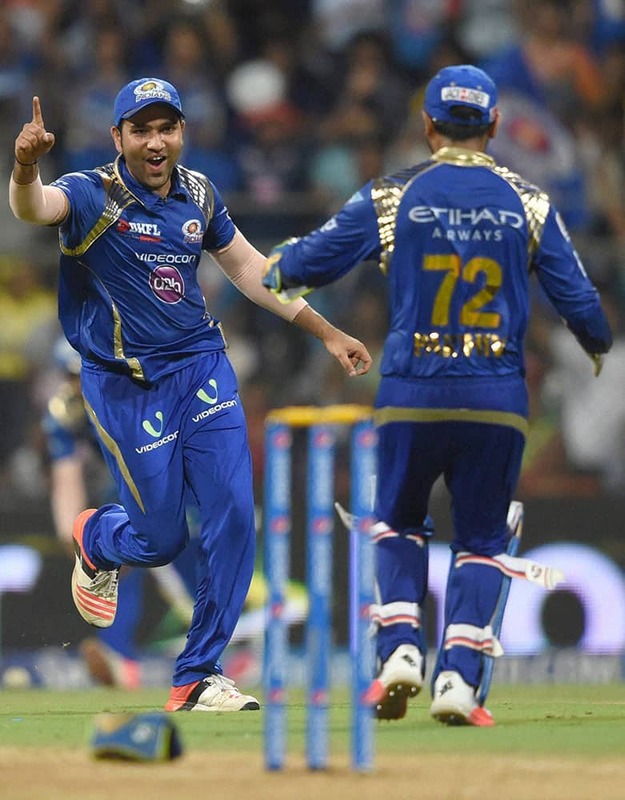 Mumbai Indians player Rohit Sharma and Parthiv Patel celebrate the wicket of CSKs Dwayne Bravo during the first qualifier match of IPL in Mumbai. 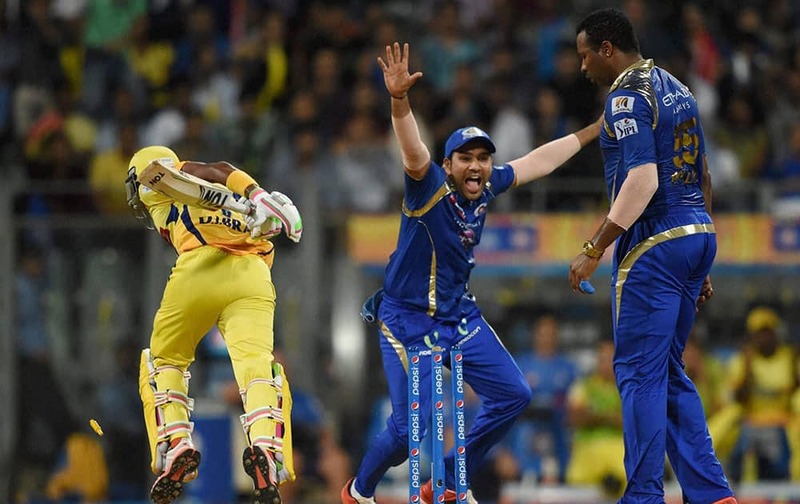 Mumbai Indians player Harbhajan Singh celebrates the wicket of Chennai Super Kings Captain MS Dhoni during the first qualifier match of IPL in Mumbai. Mumbai Indians player Rohit Sharma celebrate the wicket of CSKs Dwayne Bravo run out by Kieron Pollard during the first qualifier match of IPL in Mumbai. 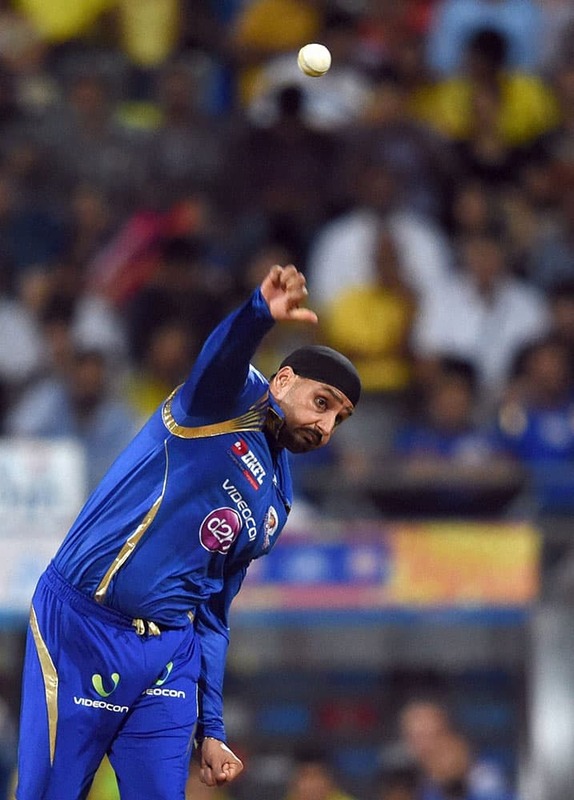 Mumbai Indians player Harbhajan Singh bowls during the first qualifier match of IPL in Mumbai. 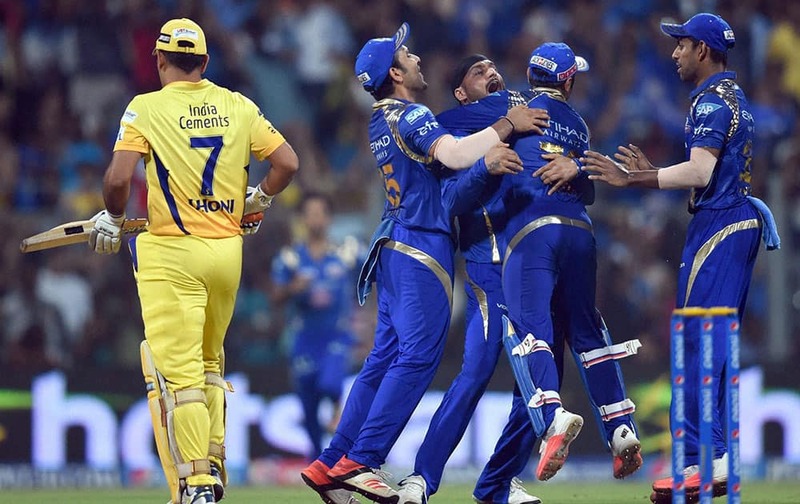 Mumbai Indians player Harbhajan Singh with team mates celebrate the wicket of Chennai Super Kings Captain MS Dhoni during the first qualifier match of IPL in Mumbai.